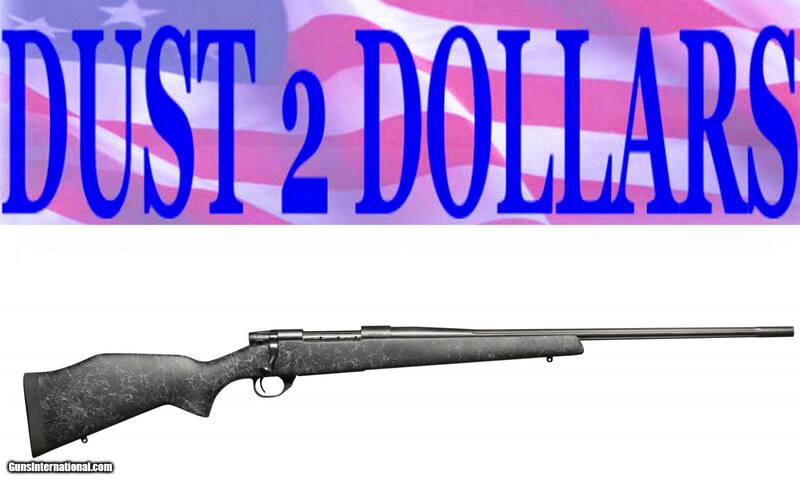 Another fine “ESTATE” firearm offered by Dust 2 Dollars. We offer you a NEW IN THE BOX Weatherby Wilderness rifle chambered in 6.5-300 Weatherby Magnum caliber. The rifle was ordered new for a customer and we installed a set of Leupold scope bases on it. He never choose a scope for it and never came back to pick it up. So here it is now at the lowest price on the internet. •Matte, bead blasted, blued finish $719.99 plus $35 shipping to your FFL. 3% convenience fee added to the total for CC payments.